The Cobra LRH40E is a long reach electric hedgecutter with a 90 degree articulating head designed to tackle awkward and tall hedges. 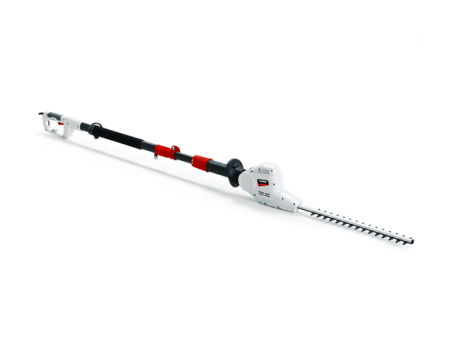 Long reach hedge trimmers enable you to work on high hedges and shrubs without the need to use ladders. The Cobra LRH40E is powered by a 500w electric motor and has a 39cm double sided reciprocating blade. 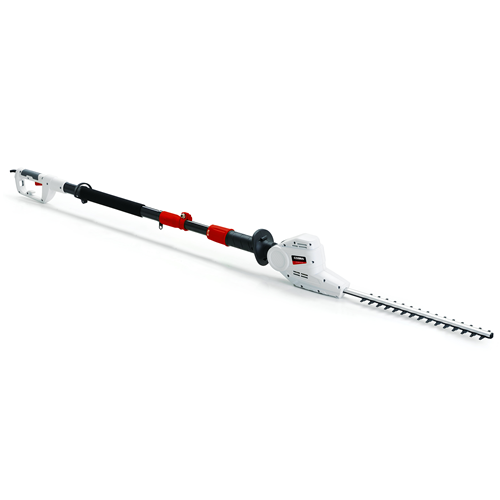 The hedge cutter has a full length of 185cm including 42cm extension length. The LRH40E can also cut material up to 20mm in diameter. Comes with 10 metres of mains cable included. The ergonomically shaped controls make the Cobra LRH40E both comfortable and safe to use.